When I first moved to Grand Forks about 17 years ago, we lived in a hundred year old home in an older part of the city. The back corner of the yard had a huge clump of rhubarb. 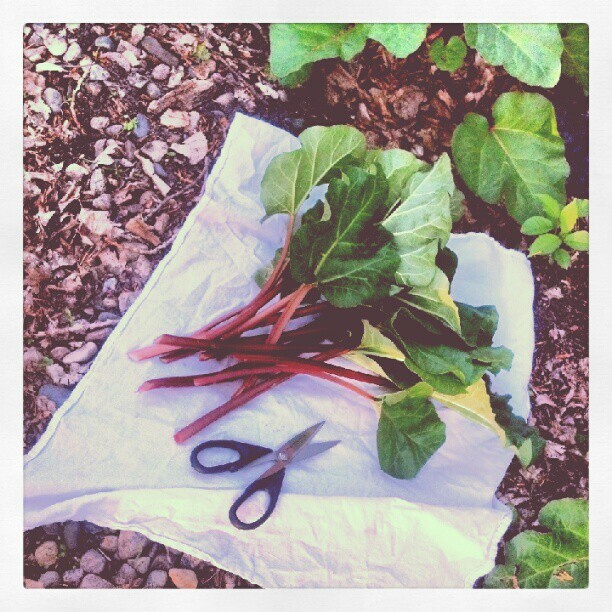 It was the first time I had seen a rhubarb plant and I don't believe I had ever tasted it prior to moving there. I thought it was a big oversized weed of some sort. Well first I thought it was a flower of some sort, but by the end of the first year with no flowers in sight I figured it was like a hosta or a weed. We had no other plants or flowers by it, just the rhubarb. 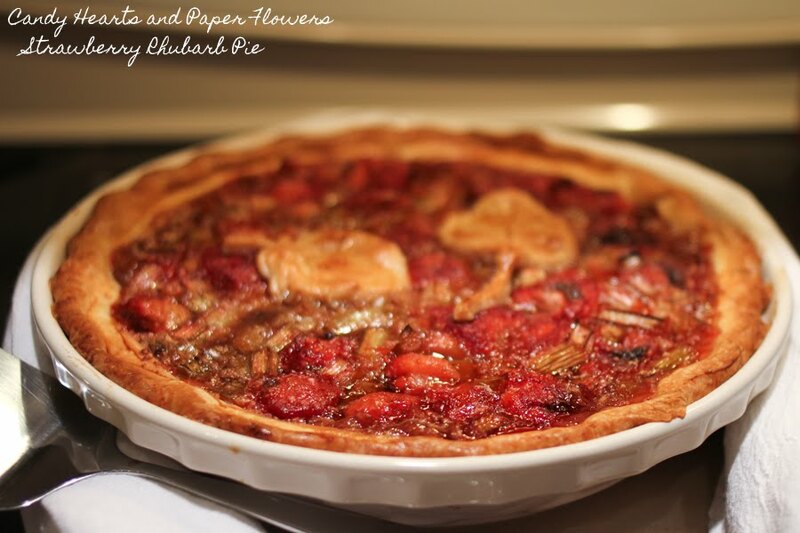 So one day when hubby's best friend and wife came over for dinner and a little wedding planning, we were sitting around out back talking and I mentioned pulling up the rhubarb. Except I think it was more like "pulling out that ugly thing and put in my pretty flowers". She was mortified and told me it was rhubarb and told me she'd take it if I didn't want it. She walked over to it, snapped off a stalk, wiped it off on her pant leg and took a bite. "Go grab a small bowl with some sugar in it" she instructed me. So, I grabbed a small bowl from the kitchen and put about 1/4 cup of sugar in it and took it outside. She dipped a stalk into it and handed it to me to take a bite. Oh my! 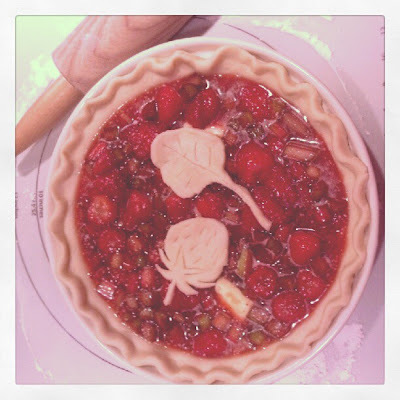 The marriage of the tart and sweet, it was delicious! So I kept the rhubarb, of course! 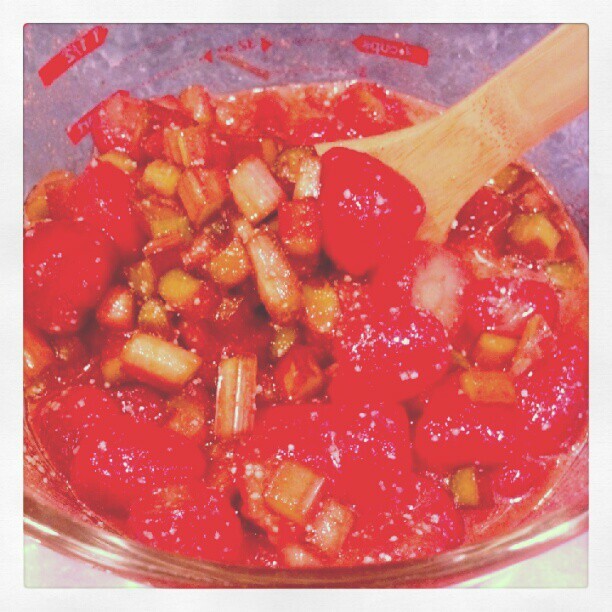 And, I went on a rhubarb recipe quest. When I moved to this house 8 years ago, there was no rhubarb and I didn't think to split my rhubarb and bring half with me when I moved. After living in this house for about 2-3 years I was missing my rhubarb, so I headed to our local nursery and bought two rhubarb plants. All was right in the world again! 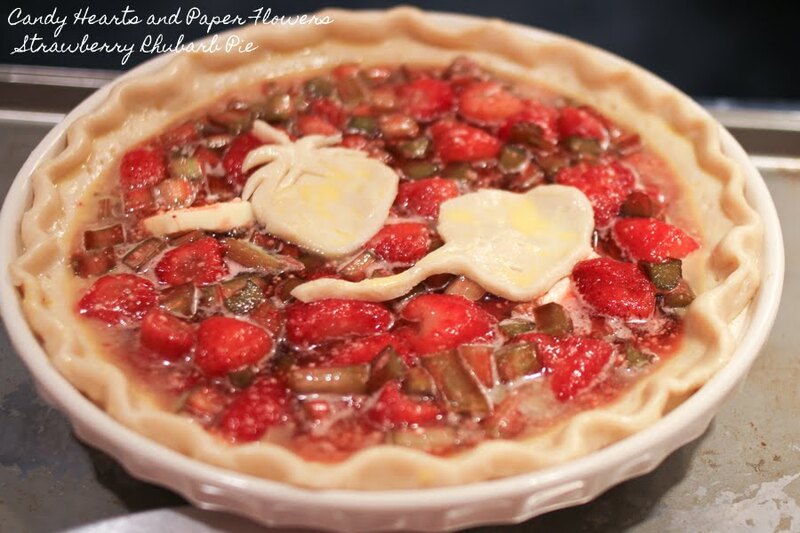 This is a super simple Strawberry Rhubarb Pie, after you make it a few times you have it down, no recipe required. My first rhubarb harvest of the season happened tonight, and since I made strawberry jam yesterday, I thought rhubarb called for a pie. Unfortunately, I was slipping it into the oven at 10pm, so the lovely natural light for photography was gone for the evening. So forgive the next few pictures please. Like the icky pan I use for pie filling spill over catches? It's more than 17 years old now, but hey it still works. I do add a pie crust shield before popping it in the oven. Two recipes back to back, it's just that kind of a weekend I guess. I'll be making more popsicles tomorrow as well, though I promise I won't post them twice. I'll be making scones tomorrow though, should we go for 3 recipes in a row? Maybe I'll save those for another week. have tented the pie with foil for the last 5-10 minutes. Mix together in large bowl, let sit while you make the crust. This is a single crust, double the ingredients depending on what you want for crust. I use a food processor to make my pie crust, and I use Amy Karol's pie crust ratios off of her cheat sheet, approximately. Add first four ingredients to the food processor, and pulse a bit to coat the butter and break it up a bit, like 4-5 pulses. Pour in about 4 Tbsp of the water, and pulse a bit, drizzle in a little more until it just barely comes together. Then pour it out and push it together into a disk (2 disks if you are doing a double crust), wrap in cling wrap and stick in the fridge for 15 minutes. Remove the disk(s) from the fridge, roll it out and drape it into your pie plate. 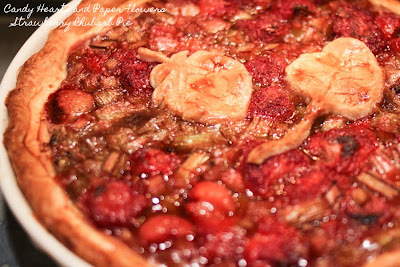 If you are doing a double crust, fill it and add the second crust now. Form your edges, however you like. I like a pretty pinch. In a small bowl whisk together the egg yolk. Brush the crust that will be exposed while baking with the wash. If you are doing a single crust, fill it now. Stick it on an old baking tray to catch any spills. Add a pie crust guard, or make your own with aluminum foil. (It should cover the crust on the outer edges so it doesn't burn. Bake it at 400F for 55-60 min. After baking let it rest for a while so all the juices don't flow out as soon as you cut it. Serve with real vanilla or strawberry ice cream, or mmmmmm a dollop of fresh whipped cream. Hubby's favorite, I'll be trying this. It's good and super easy, I hope he likes it!